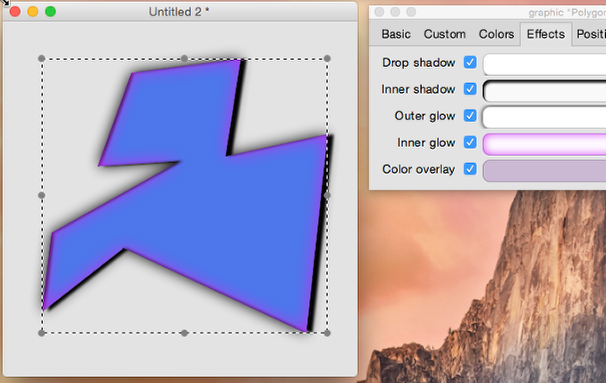 This lesson will show us how to apply some of LiveCode's built in graphics effects to an object. 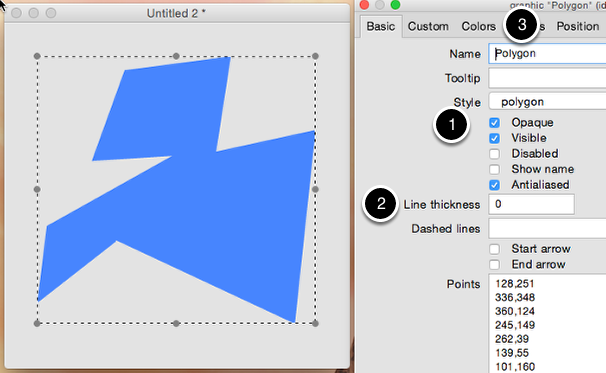 1) Create a new stack and select the 'Freehand Polygon' tool. 2) Draw a nice looking random shape on the card. Each mouse click will create a point in your polygon. Double click to release the mouse when you are finished. 3) Go to the 'Colors' tab and set the 'background fill'. I chose this nice blue. It's easy to apply any other effect. Just select it and play with the settings to create some really cool effects. Very nice effects. Can the graphic, with the effects intact, be exported from the stack to a file? I'm thinking of acjpeg or tiff or pdf, etc. 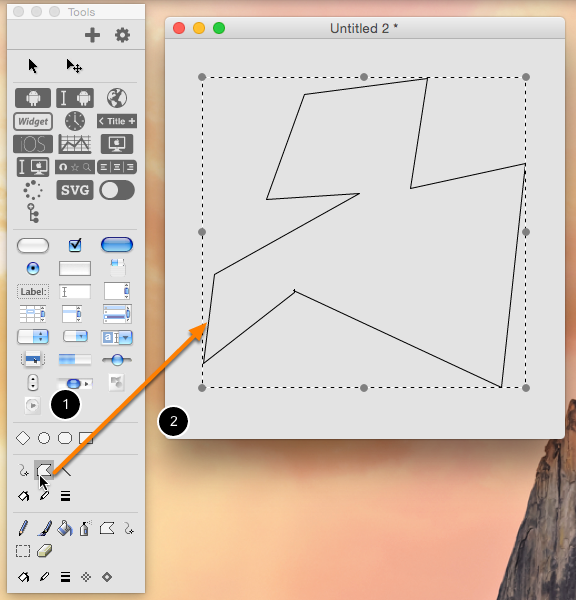 You can export the graphic to an image using the export snapshot command, remembering to specify "with effects". See the export snapshot dictionary entry for more information. You can also export the contents to PDF using the print commands. See the following lesson for more info. I'm trying to create a button using a round rectangle and all of the graphic effect properties are disabled except for the drop shadow property. The properties for the inner glow effect are all disabled. I can see them but they are disabled. I downloaded all versions of livecode and they are still disabled. Please help! try selecting the line rather than the tick box. You should find that the blue highlight bar moves onto the line you select. The controls become active if you then select the tick box.